It’s no big secret that I’m a big sucker for Disney films. I usually watch them starry eyed with a big lump in my throat. I love the fairy tale. I love the princesses, the heroes, the one liners, the carefully thought out story lines and all of the twists and turns. I love the “I didn’t see that coming!” and I even love the villains. You know: redemption. It’s just not a Disney movie without good old fashioned redemption. Except (and you DID see this coming) this movie is a bit different. It’s all of the things above and more (of course, right?). 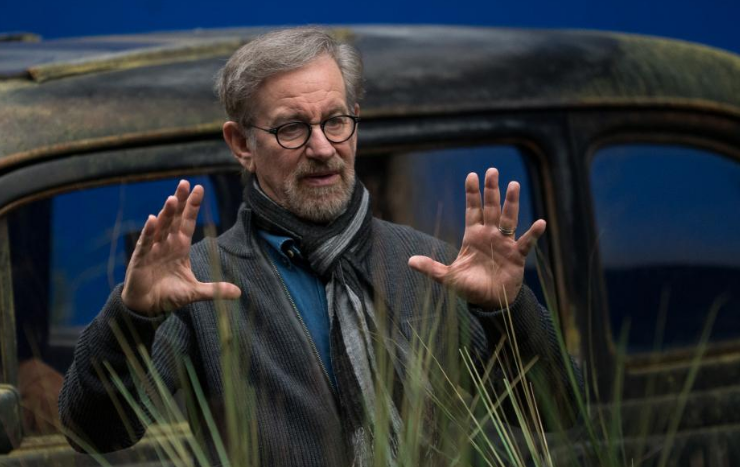 Going into this film I knew – or at least I felt – that Director Steven Spielberg had a huge responsibility with this story. 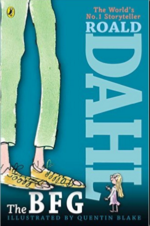 Author Roald Dahl wrote such an amazing tale here, and bringing it to life seemed risky to me. I enjoyed this book with my children and I was so concerned that by putting it on the big screen, it was possible that they could make light of this fabulous story. *Which by the way, I highly recommend reading with your kids, if you haven’t. It’s a fantastic read. I had read it to all my kids. That’s why I chose it, because I was very familiar with it. Because I am the first BFG that ever spoke those words. Of course, I’m not. Every parent thinks they’re the first to play BFG. 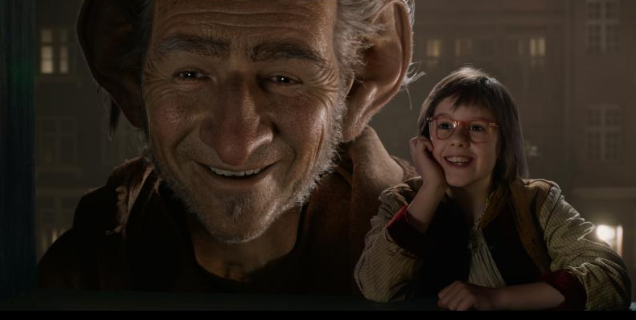 It’s really great when the dad reads The BFG in BFG’s voice to his daughters. I have four daughters and three sons. And certainly all my girls heard me read BFG, and a few of the boys heard me read it. Having seen the film twice already, once at The BFG premiere in LA a couple of weeks ago, I can tell you: Spielberg nailed it. He really got it perfect. Like really, really. 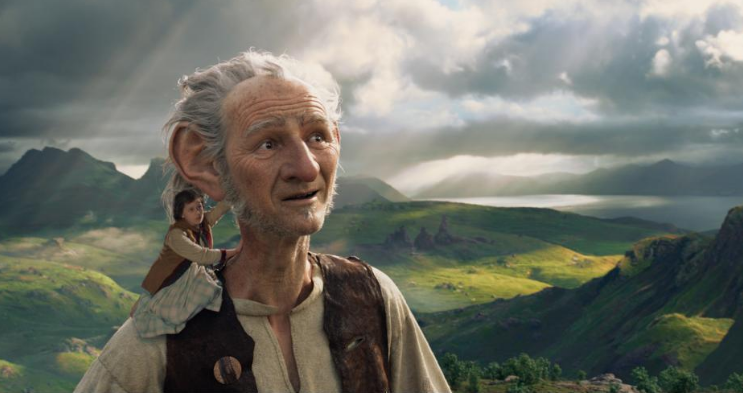 THE BFG movie brings to life a beautiful and magical story that is both simple and quite gigantic at the same time. 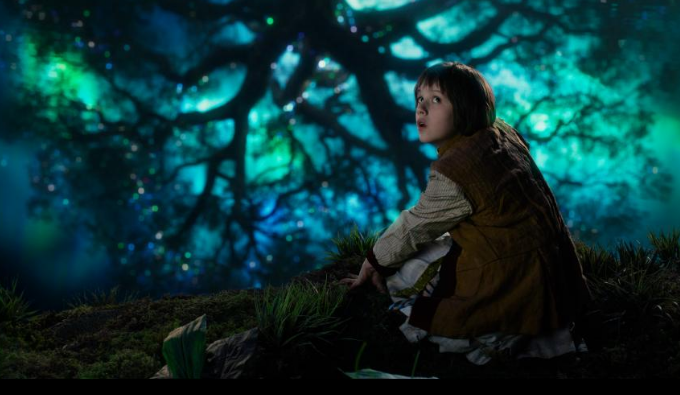 The scenes are fantastic, probably one of the most beautiful films that I have seen. Very grand landscapes and dream scenes that will truly magnify just how far the magic of cinema has come. *Tip: I highly recommend seeing it in 3D if you can! But aside from the amazing sets and costumes, there is this very strong, yet simple story being told here. 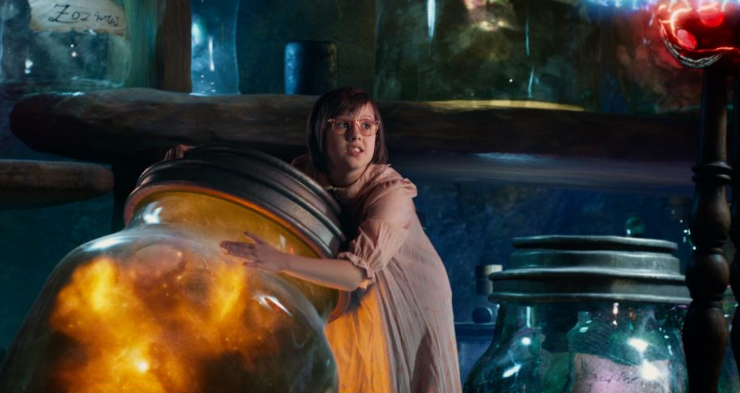 I say simple because it centers around a very honest and real, yet solid, friendship/relationship between Sophie and the BFG. Their relationship is so beautiful because it is so uncomplicated and real. Their belief in each other is what really holds this story together. Yet, this quite simple form of friendship and love also leads to some gigantic messages and lessons to be taken from this film. Long after you leave the theater, you will be sorting through the bits and pieces of what exactly just happened. I’m still doing it, and I can’t wait to see it again so that I can sort through a few more things that I haven’t quite worked out yet. But, that’s one of the reasons that I love this film. It forces us to think about things that we haven’t quite defined before. Like: Dreams. Friendship. Believing in yourself. Believing in others. Kindness. Problem solving. Courage. Oh the list goes on…. I imagine that we will each get different messages from this film, and for me, the biggest message was love. What it truly means to love someone. I don’t want to give away too much of the story in case you haven’t read the book, but there is a very powerful moment in this movie that will speak volumes to you if you are a parent. A parent who is raising children whom you know must leave you one day to chase after their dreams. It’s THAT kind of love. A love so big that it hurts to even think about, but it’s worth every little last second. GIGANTIC. I also have to point out that this movie is made complete, in my opinion, by absolutely fantastic casting. Young Ruby Barnhill does an amazing job at bringing the character of Sophie to life. You can read my interview with Ruby Barnhill here, and I think that after seeing the movie, you will agree. She carried this role so well on her tiny shoulders, and will be a character that not only are kids going to look up to, but they are going to see her as such an wonderful example of following and believing in your dreams. You!! My favorite thing about this movie is that it is for everyone. Age wise, I would say that there might be a few spooky parts for the younger ones if they scare super easily. It is rated PG and I feel like that is a very accurate rating. There are some wonderful messages through out the film about friendship, dreams, and even bullying – and there are also quite a few deeper messages and could spark some wonderful family conversations. 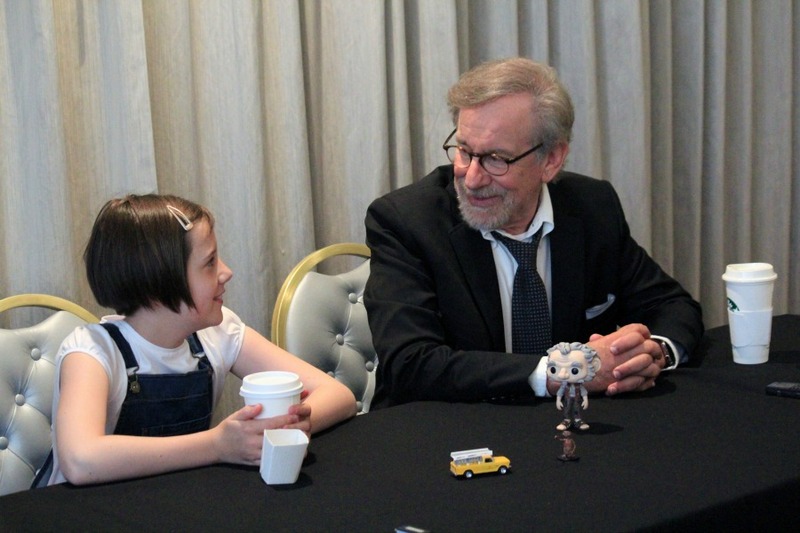 While I was in LA for the red carpet premiere of THE BFG I had the chance to sit down with Director Steven Spielberg and the film’s young star Ruby Barnhill (you can read that interview here.) I also had the chance to sit down with two other cast members who just so happened to have GIGANTIC roles in this film: Academy Award winner Mark Rylance who plays “The BFG” and Jemaine Clement who plays “Fleshlumpeater”. 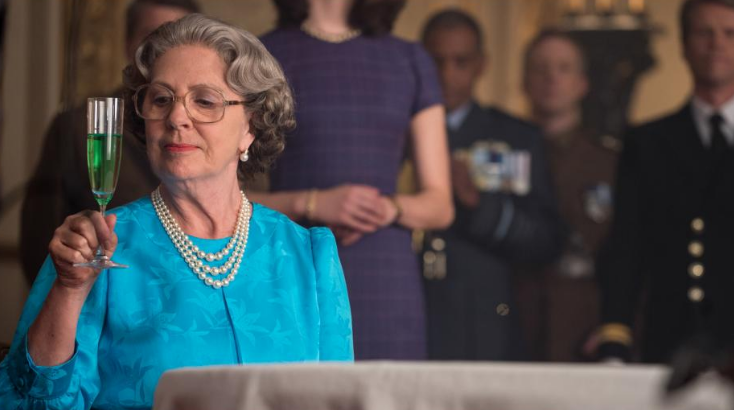 You can read my interview with Mark Rylance and Jermaine Clement here and my interview with Penelope Wilton (“The Queen”) and Rebecca Hall (“Mary”) here. 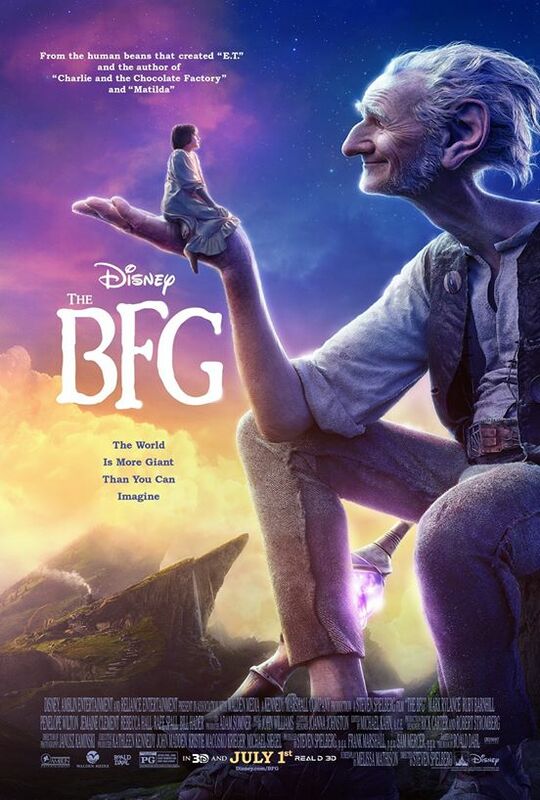 THE BFG is in theaters TODAY!! 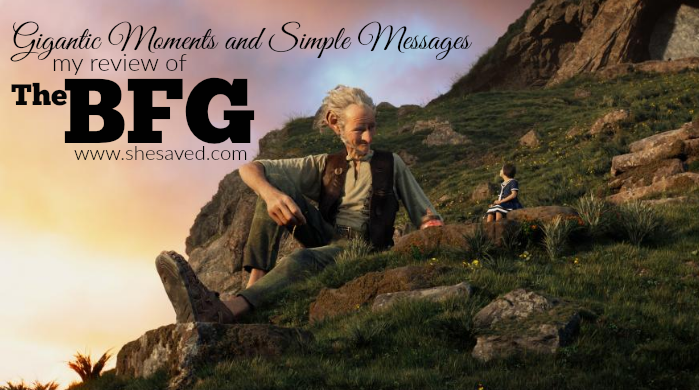 The BFG is in Theaters TODAY! We saw this movie today. (I posted a small review too on my blog, which I will link) We really liked it too. We did not see it in 3D, but I imagine that would've been cool too. I would've loved to go to the premiere!